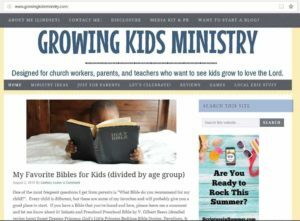 Welcome to the exhaustive list of kids ministry blogs – updated March 2019. 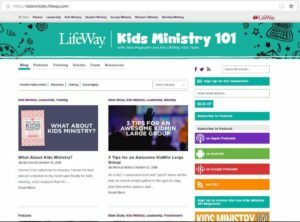 We started with 101 but ended up listing 150 different sites about ministry to children! Happy browsing. 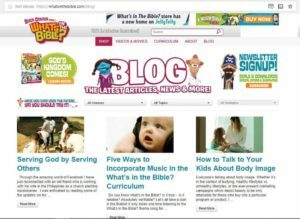 The most widely read magazine in children’s ministry also has an amazing blog! Their content is a virtual education in ministry to kids. Of course you’ll find some of the best writers and leaders in the field. The print publication is required reading, now the blog has become something you don’t want to miss. Top Post of 2018: 13 Quick Games to Create Instant Fun for Everyone! 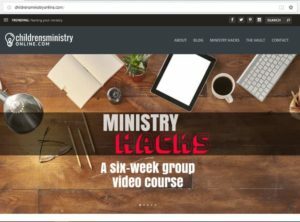 This site lives up to it’s name – a great place for beginners to learn the ropes and prepare themselves for more effective ministry to children. 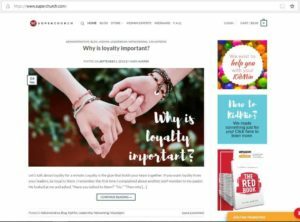 LifeWay is a pioneer in church resources and serves an amazing number of congregations throughout the United States, now their blogs are serving many readers online each and every day. He’s among the most sincere and humble people I’ve met in ministry, it’s no surprise his blog has stood the test of time. Every week you can come back to find new wisdom and a true friend to walk beside you in the your ministry. It’s no small accomplishment for a single author to have this kind of impact. This is not a blog you want to forget! Dale Hudson is another worthy model for kids ministry. 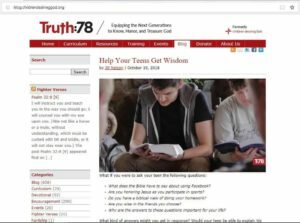 I remember this blog when it launched and how it’s always been focused on helping others improve their service to God’s kids. The author is not shy to tackle controversy, but always with the grace you’d expect from a veteran in church ministry. Top Post of 2018: Are Your Cute Lessons Turning Kids into Atheists? There are few names more recognizable names in children’s ministry than AWANA. This program of Bible memory has been serving kids for generations. Their frequent blog posts are a great way to serve a new generation of church leaders. Even if you don’t use their material, you’ll find helpful content on this blog. Top Post of 2018: Youth on the March! The first major exception on our list. This blog is more focused on Christian parenting, but the insights are every bit as applicable to those serving in local churches. Besides, many ministry leaders are the same parents hauling van loads of kids the rest of the week. Not to mention, this is a project backed by the people at ORANGE. Another solo blogger in the top 10, Mark Jones is an exceptional teacher (for both kids and other ministry leaders). He posts frequent video blogs and has hundreds of ready-to-use ideas for local churches. This is a site you’ll want to remember and visit often. You’ll be blessed if you get a chance to meet Mark at a conference or event. Top Post of 2018: Fat Heads are Here! Leave it to those special needs advocates to break the mold — and we are so thankful they did. 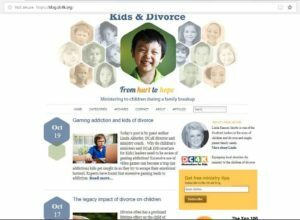 The team from Key Ministry has done an amazing work advocating for the children in you’re ministry who often get overlooked (like I just overlooked their amazing blog in my original listing). Church should be for every child. As a special needs parent (multiple times), I’m so thankful for the content on this blog. 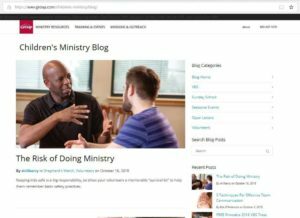 Mark Harper has put together a great team of writers who are truly “experts in kidmin.” They sell curriculum, but the larger outreach of their blog is impressive. They answer questions, share ideas, and constantly find ways to serve their website visitors. Just browse their latest articles and you’ll find plenty to keep you coming back. Hands on activities are a major part of children’s ministry – there are few better ways to engage a variety of learning styles while teaching the priceless truths of God’s Word. This blog will flood you with original ideas, how-to projects, and endless inspiration. Don’t struggle to find crafts with your Bible lessons, visit this site. 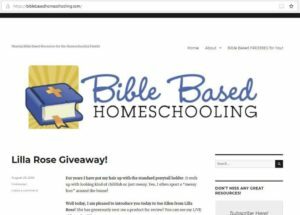 There are no shortage of homeschool blogs, but this one is unique in connecting the message of the Gospel to everything they teach. I’m making an exception to include it because so many preschool teachers in Sunday School need this content. 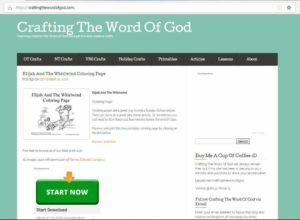 Start with their search box and look for the Bible character, passages, or theme you’re teaching. Not to be confused with the Children’s Ministry magazine blog (ranked #1), this is another excellent resource from Group Publishing. In fact, it was a tie for #10 but we sorted by domain name as a tiebreaker. You’ll find tips for using their Easy VBS, but plenty of great articles no matter what curriculum your church uses. 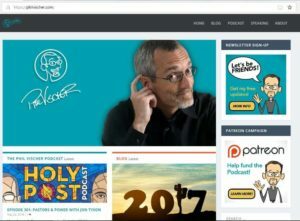 We’re a big fan of Phil Vischer’s projects (three of his sites are in the top #25). 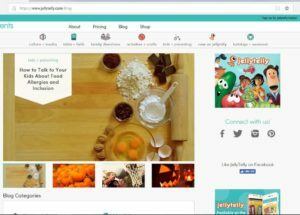 Jelly Telly’s blog is focused on Christian parents, but everything they post is just as relevant to church based children’s ministry. This blog has an all-star team of writers that never fail to deliver relevant content. This is the umbrella blog for several of the other excellent Orange blogs (see #26 and #28). 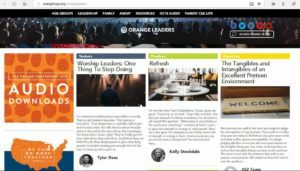 If you’re a fan of the Orange ministry approach (home + church working together), then you’ll love everything they post. Many of the speakers from their conference contribute articles. Following this website is an easy way to keep your ministry vision clear. Kenny Conley was one of the original bloggers who inspired me when building our website. His blog remains an incredible resource for anyone serving in church ministry. It’s also one of the best designed on our ranking list (yes we looked at that too!) The only thing that kept this blog out of the top 5 was his less frequent posting this last year. I think of this as more a resource website, it even has a paid membership option. But Mary Kate is not shy to give away great content on the free blog pages. She does an amazing job of making all the material hassle-free and the highest quality. That explains the strong following on Facebook and Pinterest. 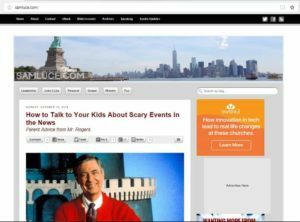 This is not an original blog like others listed, but it collects some of the best articles from dozens of other websites to share on their pages. They have a massive reach on social media and make sure posts get shared far and wide. They have been a friend to many of the bloggers listed in our rankings. Lindsey is another solo blogger in our top #25 and she has earned it. I’ve watched this site since it was new and it’s growth has been impressive. For good reason, you’ll find hundreds of practical ideas you can use in your children’s ministry this weekend. Don’t miss all the excellent free material on this website. 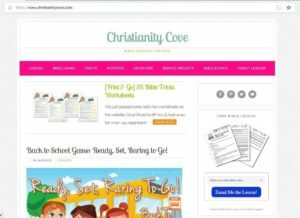 This blog is ideal for preschool through kindergarten ministry, even if the focus is on Christian homeschooling. 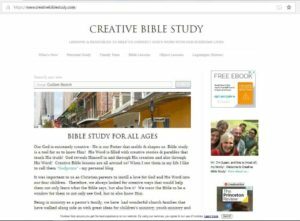 Since this site was started way back in 2000, you’ll find countless ideas for scripture memory and teaching basic Bible truths. There are countless printables, simply find what you want and print the PDF. You may know “Children’s Desiring God” for their theologically driven curriculum for Sunday School. Maybe you’ve tried the “Fighter Verse” memory program in your church. 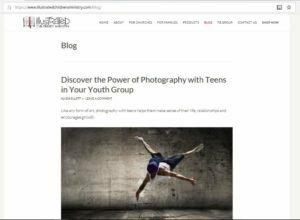 Their blog comes from the same God-centered focus. Jill and Sally have high standards and will challenge you to make the big truths of God’s character central. If we type his name enough, maybe one day we’ll get it right! This is the personal blog of the man behind Veggie Tales, Jelly Telly, and What’s in the Bible. His creative energy and heart for making a lasting difference is evident on every post. While you’re reading, dive into any episode of his amazing podcast. Ministry to hurting kids is such an important topic, even if we don’t realize it. Every Sunday kids come to church with lives in transition. I’m so thankful for this blog that raises these issues and champions doing the hard work of ministry (where it really matters). Don’t miss #49 if “Hope for Hurting Kids” which has a similar focus. I was blown away the first time I saw one of their banner sized Bible story illustrations. Adam is using his talents to enrich the church in a beautiful way. 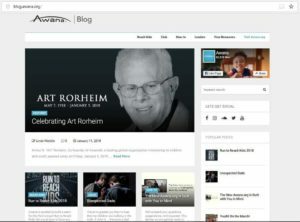 Now their ministry has a helpful blog that explores how the arts can be a vehicle for knowing and sharing the Gospel. This is truly a unique voice in the world of children’s ministry. You’ve seen the DVDs that skillfully combine puppets, video production, and serious Biblical theology. You don’t want to miss the blog from this same team. They offer specific help for using their material, but also share real wisdom for doing ministry in the local church context. Also a Phil Vicher project (!!!) that guy is amazing. This one is new to me. 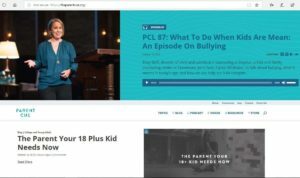 I knew Hillsong sets the standard in children’s worship music and I knew that David Wakerley (#68) is an absolute pioneer of kidmin blogging. What is new for me is all the excellent ideas and encouragement you’ll find on the Hillsong Kids blog. Just browse their latest posts to find content second to none. Top Post of 2018: Kids! 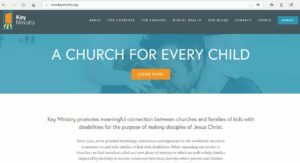 This site is right on the edge for inclusion, but once you read it you’ll see it’s 100% relevant for local church children’s ministry. Too much of the formal education process has interrupted how we communicate God’s Word. This blog is a welcome antidote. If you want to be a better teacher, then you should be following their posts. *Late entry due to editorial oversight . Full disclosure – this list was all my fault even if sometimes I type “we” to be less repetitive. First, I started to rethink what it means to be a blogger. 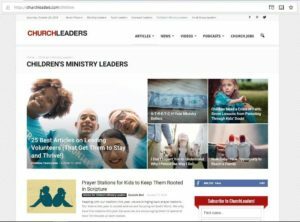 With click bait taking over the Internet, what kind of website provides real value to our ministry peers? The following were my criteria and quality checklist. How do I define “blog”? Many parenting, homeschooling, and family ministry sites fit this category — but I’ve tried to limit to those sites that self-identify with the children’s ministry programs of local churches. Some exceptions were made for bloggers who got started in children’s ministry. My ideal blogger is someone like Sam Luce, he’s just writing to share the overflow from his own local church ministry and encourage all his ministry peers who are serving in God’s Kingdom. Which page am I ranking? For traditional blogs, the homepages have the latest content. 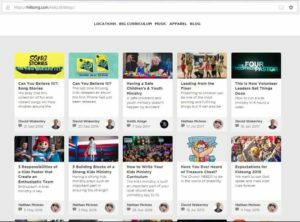 For more commercial sites, the blog can be a sub-page. We looked for what page represents the starting point for regular blog readers. For each site I’m linking the page that I ranked. When commercial sites were included I tried to grade mainly on the free blog content. 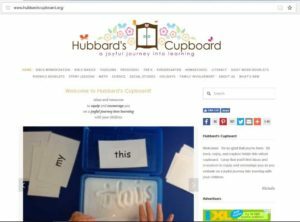 Does lack of blogging mean lack of quality curriculum? Blogging is not for everyone. Some excellent curriculum publishers don’t do much blogging, so they don’t get a great ranking on this list. But they serve the kidmin community in important ways (magazines, great material, conferences, social media sites, etc…). 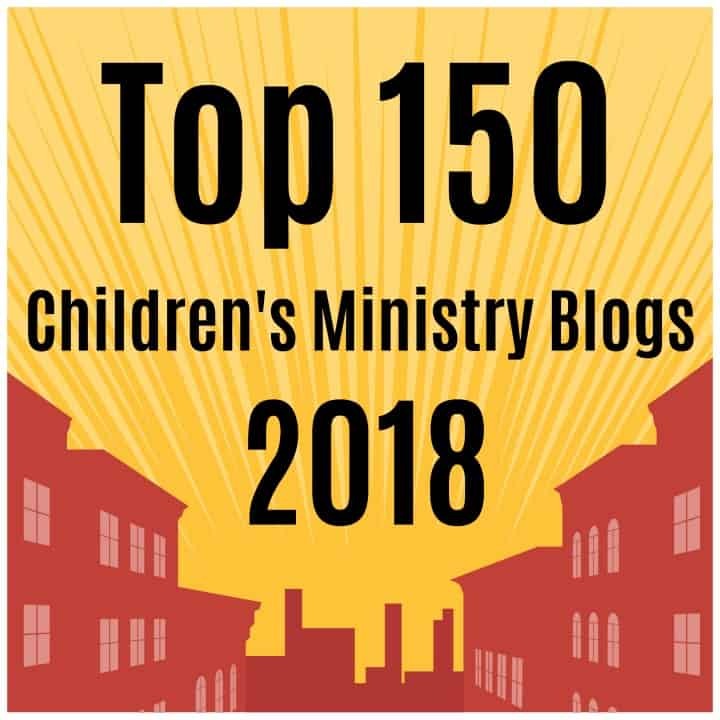 This list is meant to recognize all the great bloggers in the often ignored topic of children’s ministry and applaud their online contribution to the ministry of others. 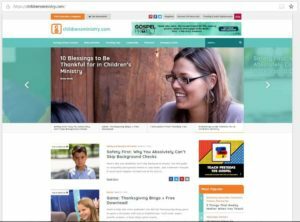 For example, Kidology is a super important website about children’s ministry. But Karl’s work predates blogging and has more of a bulletin board format. It’s amazing but different, so it doesn’t get enough credit based on our criteria. I wanted to include the site (because it does have great free content) but the score doesn’t reflect the overall value of Karl’s work. This is a far from perfect system, but I’ll risk any criticism. Remember this list is for fun and encouragement! I’ve already added a couple in the first hour after this post went live. They are marked with a * beside their rank. Congratulations! Here is a simple text link. Here is a 200 px wide badge. Here is a 200 px wide badge — top 25 (!!!). For the top 25!! 200 px button, just copy and paste this code. 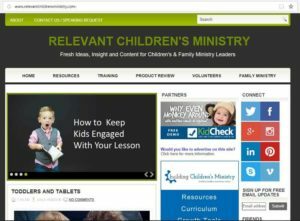 Check out Deeperkidmin.com as another great resource for children’s ministry leaders! Weekly blog posts with weekly free downloads/printables. Thanks so much. Checking it out and adding to our list now. Thanks for the addition! Hi thanks Brandon! Looks great, adding it now. Thank you so much for this EXCELLENT and ANOINTED WEBSITE. I so appreciate all the work of your Ministry. I am so grateful to the LORD for you all. The title image and badge both have “ministry” misspelled. Do you have a version with the word spelled correctly? Tony Kummer (Editor) reviewed & updated this page on : April 18, 2019 at 5:09 pm. All our content is peer reviewed by our readers, simply leave a comment on any post suggest an update.